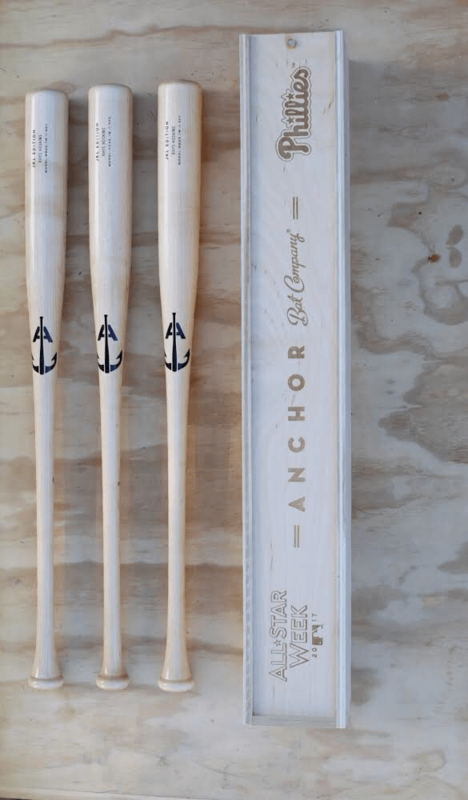 Rhys Hoskins swings the Anchor Bat Company YC43 in a 34/32 length to weight ratio. The YC43 has a 243 barrel and a customized thicker flared handle for added comfort. The YC43 is not available online but the normal 243 is at the link below. Categories: Philadelphia Phillies, rhys hoskins, Gear, Bat, First Base.